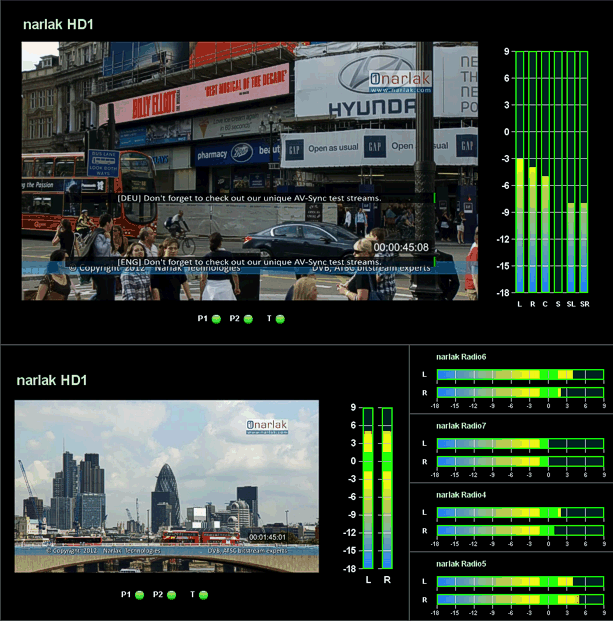 Xpect Mosaic is a software package that combines 24/7 transport-stream monitoring with a fully configurable multi viewer (Mosaic) of decoded video, audio bars and monitoring status. 24/7 TS monitoring, price per point (1..4). 24/7 TS monitoring, price per point (5..8). 24/7 TS monitoring, price per point (9..16). 24/7 TS monitoring, price per point (17+). Includes one year of software maintenance, in which you can install new versions. After the maintenance period you can continue to use Xpect, but not install new versions. 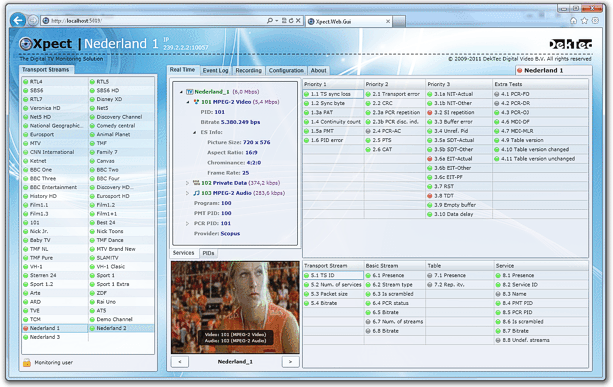 Transport stream analyzer that provides detailed statistics on the PIDs, services and tables found in the transport stream. StreamXpert is able to analyze MPEG-2 transport streams that are recorded by Xpect. Advanced recorder for TS, ETI, SDI, I/Q Samples, T2MI. VF-REC can be used for continuous TS recording, while Xpect can only do pre and post triggered recording.